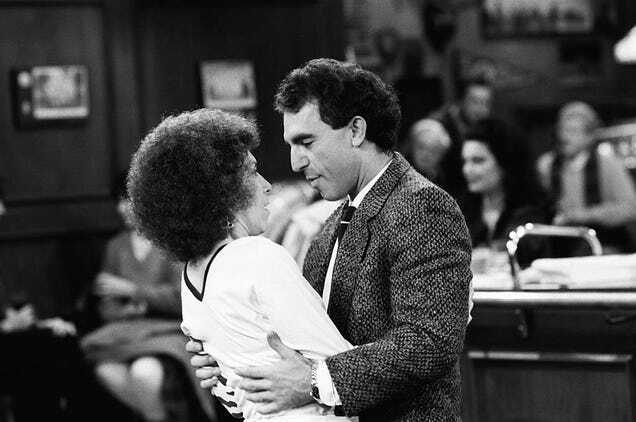 Actor Jay Thomas, known for his roles on Cheers and Murphy Brown, has died after a battle with cancer, New York Daily News reports. Thomas’ longtime agent and friend Don Buchwald related the news of his death, writing “Jay was one of a kind, never at a loss for words and filled with so much fun and wonderfully whacky thoughts and behavior.” He was 69 years old. Born Jon Thomas Terrell in 1948, the Kermit, Texas native kicked off his acting career with a plum role on Mork And Mindy, playing deli owner Remo DaVinci. While racking up appearances on both the small and big screens, Thomas regularly played blue-collar types, probably owing to his wisecracking nature and laid-back charm, which were on full display in the first couple seasons of Cheers. Thomas recurred as Eddie LeBec, Carla’s boyfriend; their stormy relationship led to marriage, but the character was killed off following some behind-the-scenes controversy. In 1989, Thomas landed the role that would earn him an Emmy. He joined Murphy Brown as loudmouthed tabloid talk show host Jerry Gold, a part he played on and off over the show’s run. Thomas picked up back-to-back Emmys in 1990 and 1991; first for Outstanding Guest Actor in a comedy, then as an Outstanding Supporting Actor. Thomas went on to co-star in the rom-com series Married People, which was canceled after one season. Then in 1992, after more than a decade in TV, Thomas got his own sitcom on CBS. Love & War, which ran for three seasons, was created by Murphy Brown’s Diane English and starred Thomas as a newspaper columnist who carried on an on-again, off-again romance with a Chicago restaurateur played by Susan Dey. The Patridge Family actress was replaced by Annie Potts in 1993, and the show ran for two more seasons. But Thomas’ longest-running TV gig saw him play himself—the actor appeared annually on The Late Show With David Letterman for the holiday quarterback challenge. In addition to throwing the pigskin, Thomas would regale the audience with a story about meeting the Lone Ranger himself, Clayton Moore. Thomas’ other acting credits include Mr. Holland’s Opus, Boston Legal, voicework on the animated Hercules and Batman series, and most recently, Ray Donovan. He’d also hosted his own Sirius satellite radio show, The Jay Thomas Show, since 2005.